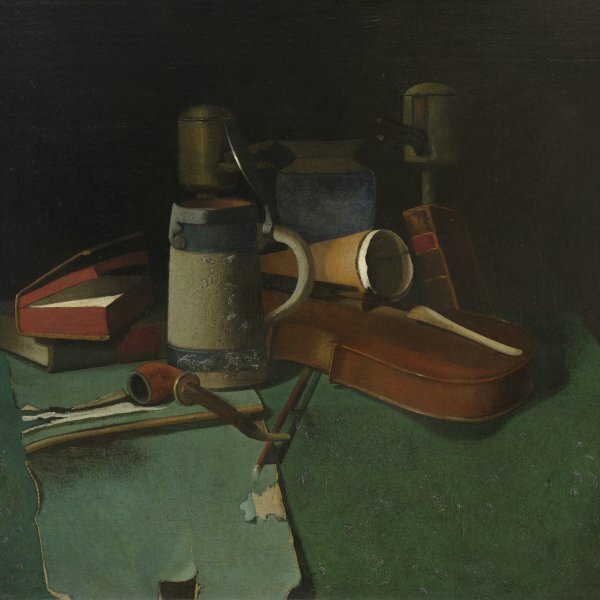 The last phase of John Peto’s career was characterised by a highly individual and distinctive style that distinguishes him from the American trompe l’oeil painters who had notably influenced his work. 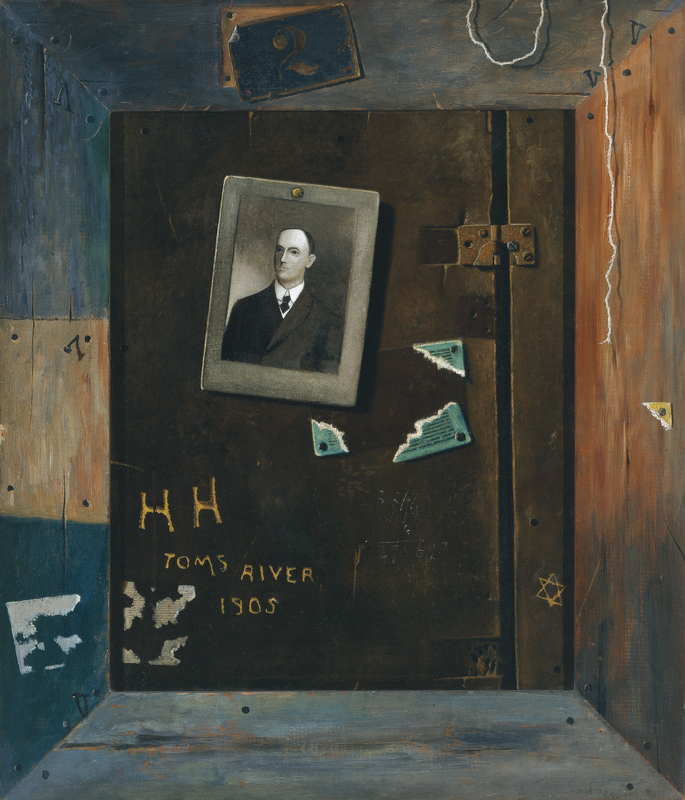 Toms River uses elements typical of his work at this phase, including the picture frame, the painted photographic images and the presence of scraps of paper and other trompe l’oeil elements seemingly attached or nailed to the picture surface. The use of illusionistic textures is particularly evident in the seemingly faded and damaged wood onto which the title of the painting appears to be scratched in. Toms River was also the name of Peto’s house. The initials H. H., again seemingly scratched in, probably refer to the man in the photograph, Hoffman Ham, Peto’s maternal grandfather. The Star of David alludes to the suffering of the Jewish people and possibly also to Peto’s personal life, given that he was involved in family conflicts at this time. Toms River is one of the finest of John Frederick Peto’s late works and a good example of the complexity his painting attained. It is among the works known as rack pictures, which evidence his interest in illusionism. As on other occasions, the subject matter is closely linked to the artist’s family environment and depicts in trompe l’oeil fashion a shabby, bleached wooden frame surrounding a wooden wall to which are affixed torn papers and the portrait of a man, the subject of the work. In the lower left corner, just above the inscription “Toms River / 1905, ” are the initials “HH” which belong to the subject, his maternal grandfather Hoffman Ham, in whose house Peto was raised by his maternal aunts Margaret, Mary and Louisa. 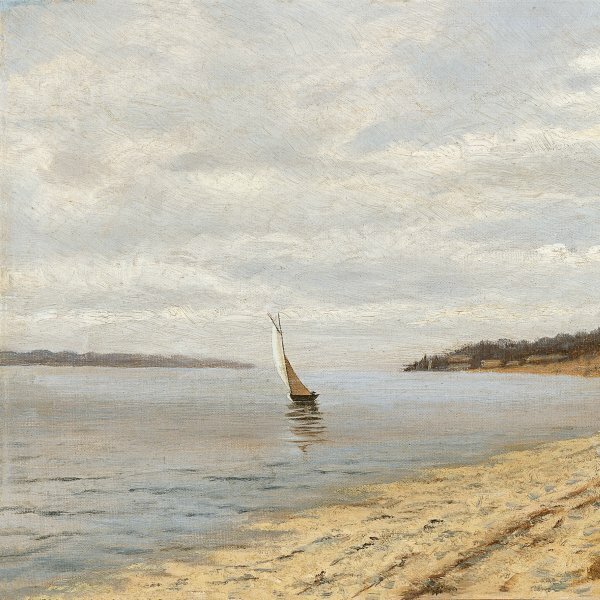 Although apparently a photograph, it is not rendered with photographic precision of stroke, indicating Peto’s interest in distinguishing between art and illusion. As Wilmerding states, “Peto brings us to the verge of illusionism, only to assert ultimately the primacy of paint [...].”Furthermore, the association of the star of David in the lower right corner with suffering could have further personal connotations since, as Katherine E.Manthorne points out, it may be a reference to his father’s death and his own hardships and domestic strife.